Yon Sel Lanmou's 1st install at Auntie's in Francois, Haiti. Filters will even clean this dirty water. 1st filter that Yon Sel Lanmou purchased. A simple water system that can literally save lives. These kids deserve safe drinking water. A backwash restores the filter. Look at the stuff that this device filters from water. Thanks to Jason and Clean Water Around the World for introducing us to Sawyer. We will carry on your legacy. In 2011, Yon Sel Lanmou told Haitians to drink clean water to avoid contracting cholera in the music video “Go Away Cholera”. Now we provide them with the means to make safe drinking water. YSL President Greg Cronin is an applied aquatic ecologist, so water finds its way into many of Yon Sel Lanmou’s projects. “Go Away Cholera” instructed people to wash hands and drink clean water, the vetiver system improves soil water retention, YSL partnered with FoProBiM to help establish 3 Bays Marine Park, and FEED HAITI uses aquaponics to grow fish and vegetables in water. 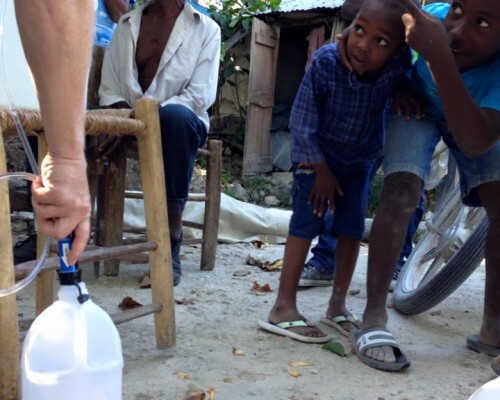 Greg wrote a blog about his personal experience with water in Haiti. 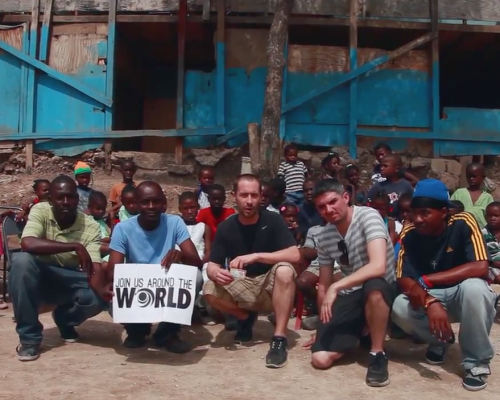 In 2014, YSL partnered with Clean Water Around The World to bring safe drinking water to orphanages in Haiti. The documentary “Bon Bagay” embedded below shows their trip. Many of the photos on this page comes from the documentary. 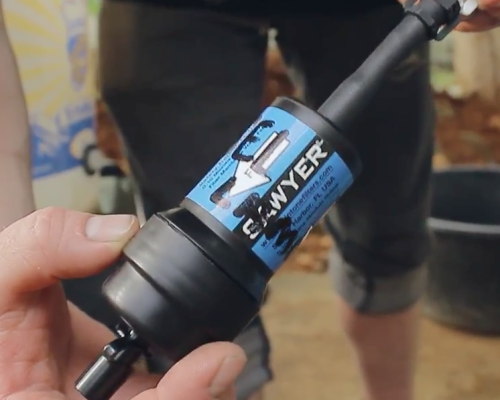 The Sawyer filters that they installed can make 1 million gallons of drinking water. 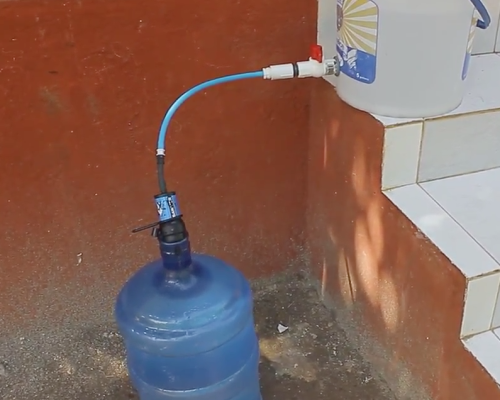 Costing $40 each (plus $10-200 for installation, depending on size of reservoir), that is the best cost:benefit product that we have seen in Haiti, so we decided to copy them. 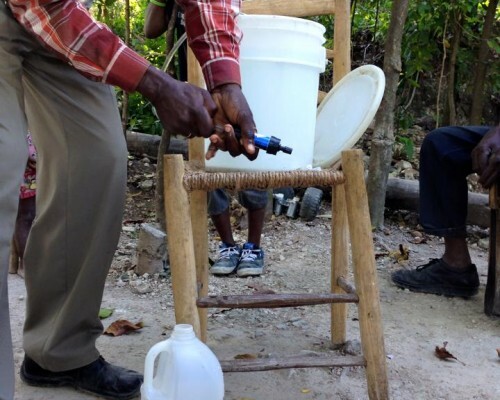 Yon Sel Lanmou now installs Sawyer water filters, and provide users with directions in Kreyol. Water-borne diseases kill people. 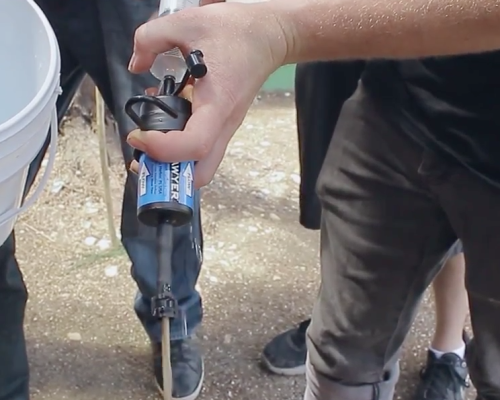 These water filters literally save lives. 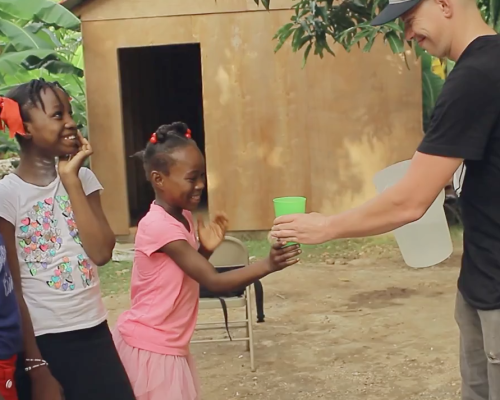 Drinking water in Haiti does not come from the tap. Rather, many people drink water that comes in plastic bags or plastic bottles. The following table compares the 2 methods. You can donate 1,000,000 gallons of drinking water by clicking the donate button below, and contributing $50-$250. We will take a photograph of each filter installation, and post it on this webpage. Click here to view our website translated into Kreyol.